Following the success of its boiler scrappage scheme last year, the Scottish Government is to make additional funds available for private sector landlords. The boiler scrappage scheme will enable landlords in the private sector to benefit from a one-off grant of £400 if they upgrade their energy inefficient boiler to a new boiler. To qualify, the replacement boiler must be a make and model recommended by the Energy Saving Trust. In addition, certain eligibility criteria has been set, which must be met by the landlord. Under the scheme last year, more than 400 rented properties benefited from the installation of a new energy efficient boiler. Funding for the boiler scrappage scheme is limited, and will be issued on a first-come, first-served basis. By upgrading their central heating system, landlords will see their properties benefit from a higher EPC ( Energy Performance Certificate) rating, which in theory should make their properties more attractive to the rental market, making them easier to let. Lowering energy bills for tenants should also help to reduce rent arrears, which is an escalating problem for private sector landlords as more and more tenants find themselves falling into fuel poverty. As it stands, it is estimated that around 250,000 Scottish homes in Scotland are fitted with inefficient boilers. If you’re a landlord and would be interested in benefiting from the scheme, visit the Energy Saving Trust website or call the Energy Saving Scotland advice centre on 0800 512 012. 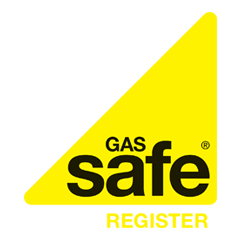 What is the Gas Safe Register?